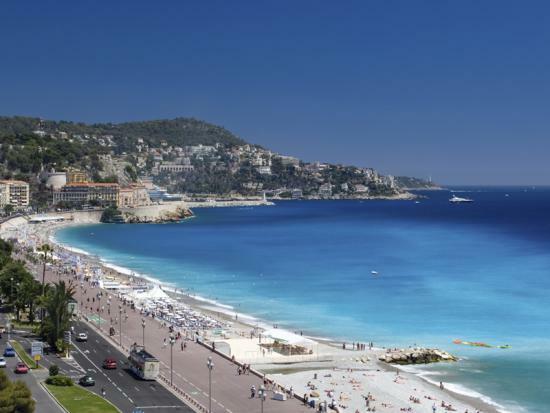 The town of Nice has plenty to offer, whether it is just for a one-night stay or for a whole week or two. Here, we will try and give you a taste of what you can find here. Because France is a country where people enjoy good food, we will begin this tourist insight by recommending a highly-pleasant place to eat where you can do so without breaking the bank and without having to go far: a stone’s throw from the hotel is La Petit Biche, a restaurant that serves traditional French cuisine. The dishes are abundant and the clients arrive with a smile on their faces and leave with the intention of coming back. There are many other restaurants, bars, pubs and clubs less than 900 yards away from the hotel in the Vieux Nice, the Old Town of Nice, which they can get to by the tram that runs along the large commercial artery that is Avenue Jean Médecin. 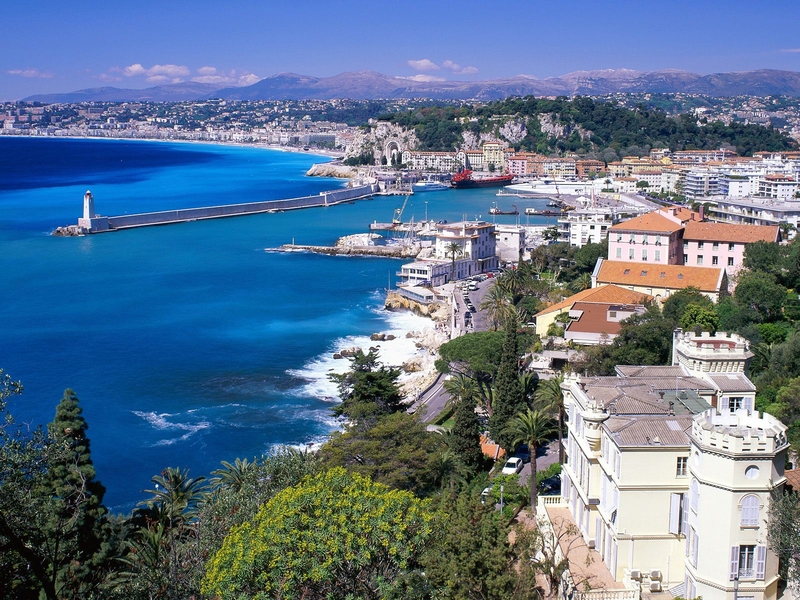 It is important to highlight the picturesque streets of the Old Town, the flower market at Cours Saleya and also the ice cream shop with the largest choice of ice creams in the whole of the Côte d’Azur: the famous Fenocchio! While on the subject of sweet things, while walking through the port you can find the Florianque confectionary shop, which you can visit and sample some of their delicious creations… with your eyes, before finishing the visit in its shop, where you can find cakes, candied fruit and many types of desirable chocolates. 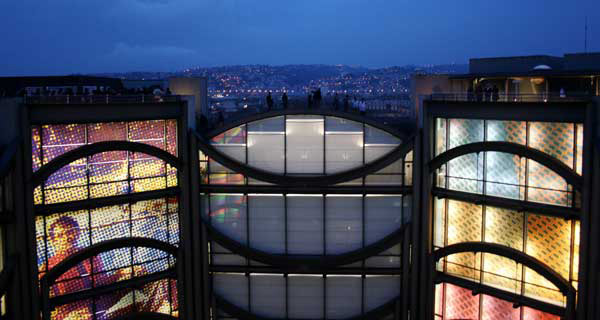 From a cultural point of view, the town is filled with museums such as the ones dedicated to Matisse, Chagall, and the MAMAC (Museum of Modern and Contemporary Art), to mention but a few of the most famous ones. You can also enjoy a nice stroll along the Cimiez Anfitheatre, the Roman ruins or even visit Parc Phoenix if you’re a lover of the flora and the wildlife. The Orthodox church known as the Église Russe is one of the most unusual sites in Nice and the most beautiful one of its type outside of Russia, located next to the Parc Impérial, the old ‘Grand Hotel Imperial’ from 1902 which used to be the residence of the Russian Tsar and the imperial family during their stays in Nice, today reconverted into a school. You can also find many Victorian buildings, most notably on the Cimiez hill or on street corners in the Old Town. Talking about hills, the most famous one is Castle Hill, the Colline du Château, a castle destroyed in 1706 by order of King Louis XIV. However, the view over the sea and Nice from it is nothing short of stunning. Further inland there are many traditional villages on hilltops, such as Bonson or Gilette, and you can visit the whole region with the friendly Pignes train. The villages of Eze, Saint Paul de Vence and Biot are also worth highlighting, famous for their artists and breathtaking landscapes. If you do not have a car, you have the possibility of renting one or even travelling there by bus or train. Further west is the Estérel mountain range, the country of red rocks, perfect for beautiful hikes and strolls. Also beautiful to have a nice summer swim is the sandy beach of Théouleou, among many small red coves for total isolation. Near the train station of Juan-les-Pins there’s another sandy beach, almost too rare to mention! The beaches of Beaulieu-sur-Mer and St Jean Cap Ferrat offer a good combination of pebbles and sand, which make for soft gravel that does not hurt the feet. And for lovers of pebbled beaches, they have those of Eze, Villefranche-sur-Mer, Cap d’Ail and, of course, the one on the English Promenade. The hotel’s partner, ‘Sightseeing Tour’ offers you the chance to visit Nice, Cannes, Monaco and even St-Tropez, Eze and other spots either by shuttle bus or by boat, with tours that range from half a day to a whole day. You can book directly at hotel reception, where you can find brochures for the different available destinations. For more information on the region and its tourist sites, contact the tourism office.